Mingus guards my education law library. It’s been a while since I’ve written anything directly pertaining to the work I do with families of children with disabilities. I am a special education attorney who represents parents trying to obtain an appropriate educational program, known as an IEP which is short for Individualized Education Program, for their children with disabilities. This past week, I had the pleasure of speaking to parents of children with special needs, as well as other professionals who work with public school students with disabilities, about my work as well as some tips about special education advocacy. First, I was part of a panel discussion called When School Isn’t Working, hosted by NAMI Southwest CT, an affiliate of the National Alliance on Mental Illness at both the state and national level. NAMI is a resource and support organization for individuals who struggle with mental health issues, and the family members and friends who support them. Along with a mother of multiple children with disabilities, an experienced educational advocate, and an educational psychologist and private program expert, I answered questions from the audience about the Individuals with Disabilities Education Act (IDEA), the federal law requiring public schools to provide special education students with a free appropriate public education (FAPE) in the least restrictive environment. Did you know that a mental health concern, including depression, anxiety, personality disorders, and schizophrenia, to name only a few, is a disability that potentially qualifies a child for specialized instruction, program modifications and accommodations, and related services such as counseling? When we picture the child with a disability in the public school setting, we often forget that students with a variety of needs in the realm of emotional wellness must be considered for eligibility for special education under IDEA, just as the schools must do for students with autism, an intellectual disability, a learning disability, or a physical impairment, to name only a few examples. The NAMI panel discussion had a fantastic turnout, and we got some great questions from the audience about the roles and responsibilities of the IEP team (called a PPT here in Connecticut) in making educational programming and placement decisions for children with mental health needs. I could also tell how passionate and supportive members of this community are about advocating for the rights of children with mental health issues in the public schools. The two-hour drive home from Stamford, in the first snowfall of the season, was well worth it. It was a great night and I could have talked on and on, but mercifully, I was cut off by the moderators promptly at the program’s end time. Today I went with the boss man to give a workshop, Know Your Rights as the Parent of a Student with a Disability, in Willington on behalf of Success SEPTO. A SEPTO is a Special Education Parent Teacher Organization. 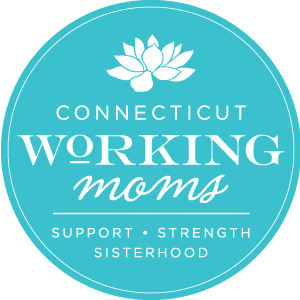 Success SEPTO is a member of the Connecticut Special Education PTO Alliance, and serves families in the Northwest corner of the state. It was really fun zipping up to the opposite end of the state, just two days after being in Stamford for the NAMI event. Willington is beautiful, and I have some happy memories from that town from the bit of labor work I have done up there in the past. I was prepared to give my standard lecture on the substantive and procedural aspects of IDEA. Boss man said to hell with that. We would instead give a lively and interactive workshop focused less on “black letter law” – because anyone can pull the text of a statute online – and more on the strategy and tactics that go into effective parent advocacy. I met a great group of parents and professionals today, and we really had a fun time. While we did hit some of the basics of the special education laws and the obligations of school districts, as well as the rights of students and their families, today’s session was really focused on empowering parents to be advocates for their own children. One of my favorite parts of the SEPTO event was the group discussion that followed an activity in which participants paired off and rehearsed describing their child’s disability and making a request to the special ed director, in role-play fashion, to include a specific service in their child’s IEP. We thought that the most common reaction, in processing this exercise, would be an emotional one. It occurred to me that most of us put our emotions “in a box” when mentally preparing to describe our child, and then opening our mouths and telling the schools what we need. I saw a lot of head nods when I asked if anyone felt themselves transform into a business person, rather than a mom or dad of a child with a disability, when placed in the role of advocate for their own child. Simply put, it is utterly exhausting to continually need to speak up and out on behalf of your child, especially when you feel like you need to be the squeaky wheel in order to get some sorely needed grease. I think many parents hold it together all day long, and suffer the emotional fallout from this process in secret, feeling like they need to be so strong for their families. These programs, and many like them offered throughout the year, were completely free and open to parents of special needs students, and the community members who support them. Please do check out these resources, attend their meetings, and get involved if you are either seeking support for your own child, or wish to make a positive difference in the life of a family who needs your support. Meeting these folks reminded me why I’m in this line of work. I love being an advocate for parents as much as I love being a parent myself. I can definitely ditto the exhaustion of being the squeaky wheel, and in our case that is WITH tons of genuine support from the school. I can’t imagine having to fight harder, and so many families have to do just that. I am the one who needs a tissue box at every PPT though. I can’t keep it stoic to save my life.